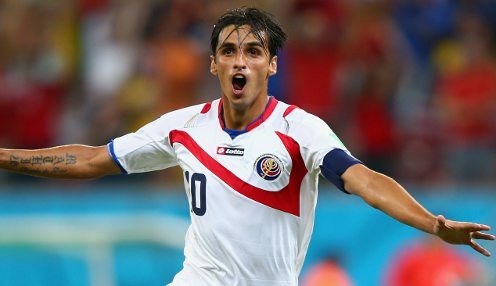 Costa Rica international Bryan Ruiz's proposed loan move from Fulham to Levante has collapsed. The 29-year-old agreed to the switch just before Spain's transfer deadline passed last month but the move needed ratification from FIFA. It has now been revealed that FIFA will not allow the transfer to go through so Ruiz now appears to be in limbo. It's a tough knock for him but he's a great character and loves his football. Cottagers boss Kit Symons said: "All of the necessary paperwork was finalised here in time for this to be completed, so it's a situation that we can unfortunately do nothing about. "I'll speak to Bryan and would obviously like to have him back playing for us as soon as possible. "It's a tough knock for him but he's a great character and loves his football, so I know he'll just want to get on and play." Fulham signed Ruiz in the summer of 2011 from FC Twente for £10.6million and he has gone on to score 12 goals in 85 league appearances for the club. He spent the second half of last season on loan at PSV Eindhoven, 1/1 to win the Eredivise title this term. Meanwhile, Fulham are available at 1/1 to be promoted from the Championship this season and 1/1 to be relegated.